The day after. Those three simple words have such an ominous ring. But I felt each and every syllable today when I awoke. Adrenaline kept me focused and tough yesterday through my black belt test, but those 50+ push ups I did through the two-hour exam made their presence known this morning when I lifted my arms to wash my hair. I was also reminded of the flying side kick I did, in which I jumped over several small children on the way to breaking a board, when I simply got out of bed. 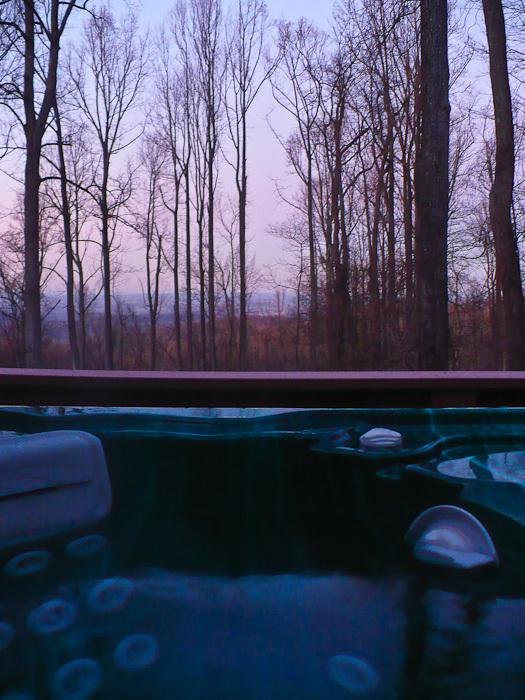 So, despite the chill in the air this afternoon, I did take refuge in the hot tub. Although the warm water and soothing jets helped to ease my tired muscles, I have to admit that the feeling of having earned my belt was a great one. Congratulations Tricia!!! Through all the aches and pains, perseverance pays off! Well done! Congrats! Most truly good things require effort–you deserve your belt! !